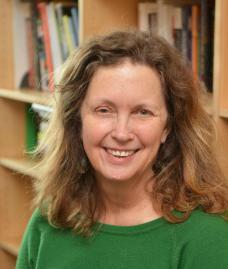 Carol Armstrong, appointed to the faculty of the Department of the History of Art at Yale University in 2007, teaches and writes about 19th century French painting, the history of photography, the history and practice of art criticism, feminist theory and the representation of women and gender in art and visual culture. She received her Ph.D. from the Department of Art and Archaeology at Princeton University in 1986, and has taught at the University of California, Berkeley, where she earned tenure in 1990; the Graduate Center of the City University of New York; and Princeton University, where she was professor of Art and Archaeology and Doris Stevens Professor of Women’s Studies from 1999 to 2007, as well as Director of the Program in the Study of Women and Gender from 2004 to 2007. She has published books and essays on Edgar Degas, Edouard Manet, Paul Cézanne, and 19th and 20th century photography, modern and contemporary women artists, and has curated exhibitions at Princeton University Art Museum, the Drawing Center in New York, the Yale Center for British Art, and the J. Paul Getty Museum. Most recently, in 2013, on the occasion of the 150-year anniversary of Edouard Manet’s two most famous paintings, she co-curated an exhibition called Lunch with Olympia with Robert Storr at the Yale University School of Art’s Edgewood Gallery. She has been a frequent contributor to October and Artforum magazines, and continues to be an active art critic. She is also a practicing photographer. She is currently finishing a book on Cézanne and his afterlives, and is about to embark on a new project on modern medium-specificities in the visual arts, music, dance, theater and literature, considered from a feminist point of view. Oceanflowers, The Drawing Center (New York) and Princeton University Press, Spring 2004, co-editor and contributor..
Manet/Manette, Yale University Press (London), 2002. Odd Man Out: Readings of the Work and Reputation of Edgar Degas, The University of Chicago Press, 1991. Republished as a paperback by Getty Research Center Publications in 2006.